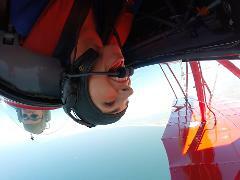 Extreme Aerobatic Thrill Ride: This once-in-a-lifetime experience is for the person that knows they will love the aerobatic adventure! Your most thrilling moment ever! What was it like to be a WWI fighter pilot? Experience first hand the ultimate excitement, thrills and military experience in beautiful San Diego. 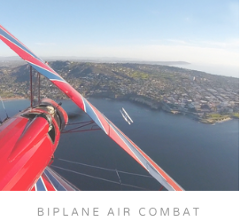 You will fly in a vintage open cockpit aircraft and duel with an adversary biplane.